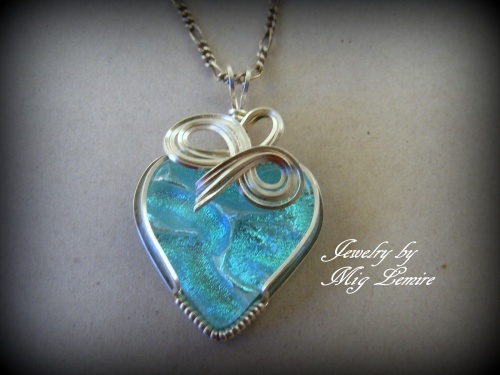 This beautiful handmade dichroic heart is so mesmerizing with the sterling silver design resembling a bow of dripping silver. Piece measures 1 1/2" long by 1" wide. Comes with a sterling silver chain.